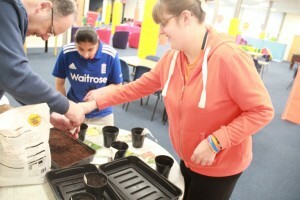 Saturday Club is a short breaks service designed for young people with more complex or severe learning disabilities who require a higher level of support. The Club runs fortnightly (term time only) and provides opportunities for young people aged from 9 to 18 years to spend time with their peers; allowing their family to take a break from their usual caring responsibilities. 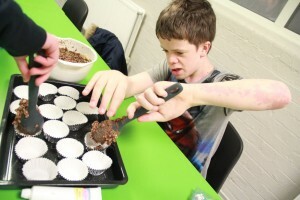 The young people participate in meaningful activities with the assistance of a one-to-one support worker, to promote independence and social skills. There are a variety of activities to take part in onsite, as well as trips into the community for swimming, bowling, adventure playground and more! Each session runs from 10am to 4pm. Sessions cost just £35 for all Luton families. For families living outside of Luton sessions cost £90. Sessions must be pre-booked and paid for in advance. Before attending, each young person will be assessed to determine what the appropriate level of support is for them at the club. Please contact our Short Breaks Coordinator Nazma Miah on: 01582 420 800. Saturday Club is very popular, Luton Families can book via our website – available dates will be shown on the FUN website bookings page.